Home / Celebrities & Gossip / Entertainment / Nigeria / Rock Battle: Who rocked it better CeeC or BamBam? Rock Battle: Who rocked it better CeeC or BamBam? CeeC and BamBam are both ex BBNAIJA housemates with great fashion style and taste. The two were spotted in identical jumpsuit in different colours. 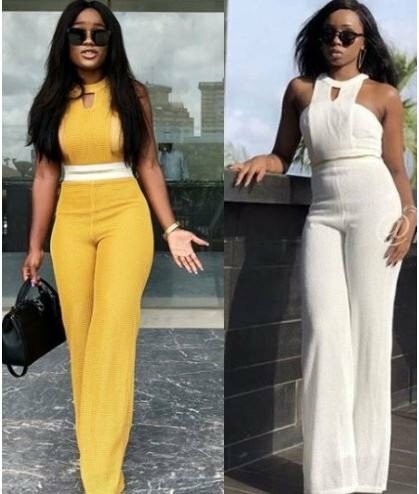 Who do you think rocked the jumpsuit better, the lady in white or the one in yellow?